An innovative bioremodelling treatment that tightens the skin using a brand new form of hyaluronic acid. Reverse sagging skin with the Profhilo treatment; an amazing class III medical device that has been developed by a team of globally recognised cell biologists and described as “the first injectable of its kind”. This patented injection forms part of a new concept in aesthetic medicine known as bioremodelling, as it can repair elastin breakdown in as little as two sessions by combining skin restructuring, rehydration and soft tissue lifting. Until now, non-surgical lifting treatments using energy-based machines, liquid face lifts and suspension threads have been widely adopted in order to combat the vertical descent of soft tissue. However, there are drawbacks to all three: heat energy treatments tend to require several sittings, injectable fillers are better suited to strategic volume restoration, and thread lifts reposition inelastic skin without improving the condition of the dermis itself. By contrast, the Profhilo treatment is an award-winning hyaluronic acid injectable with an additive-free composition that actually repairs damaged collagen bonds from within. 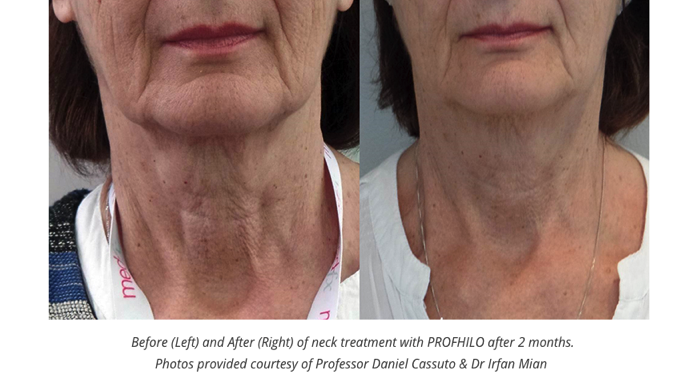 When injected according to a gentle protocol, Profhilo injections prompt face, neck and body lifting, which until now, was clinically impossible for any injectable to achieve. Currently, it is the only approved product in the world that has been designated for this specific purpose, rather than the filling in of depressed areas, as is the case with many other dermal fillers available today. Until the Profhilo treatment’s unique biochemical makeup was discovered, a lack of scientific interest hampered the development of a medication that repaired weakened elastin bonds, particularly as the aesthetic landscape has long been dominated by many other expensive machines and devices. The degradation of elastin in the skin is an internal process that happens within our dermis, yet dermal fillers only camouflage age-related laxity, whereas thermal energy procedures demand at least six treatments in order to achieve a long-lasting correction. Profhilo is a novel form of hyaluronic acid that, due to its 100% organic composition, actively encourages the body to repair the damaged collagen scaffolding that supports our skin in youth, and has been shown to render dramatic results after just two treatments with a 2ml syringe. Underpinned by strong scientific foundations as well as a broad base of support among leading aesthetic practitioners, it’s little wonder that the Profhilo treatment has caught the attention of patients and clinicians alike. 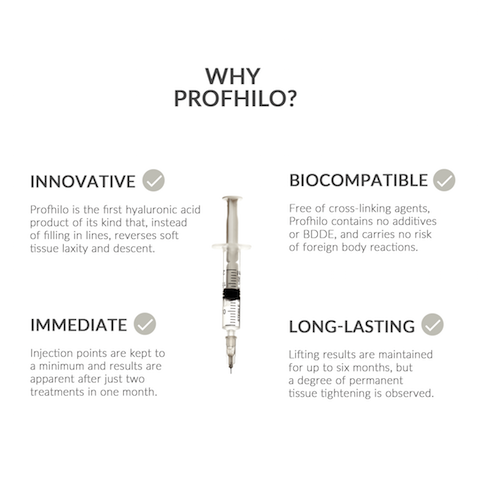 Profhilo’s patented biochemical profile establishes itself as a natural hyaluronic acid product that is free of BDDE, one of the most common synthetic additives used in virtually all other modern HA injectables that acts to “cross link” these products and give them a degree of viscosity. This is significant, as it not only makes Profhilo hypoallergenic and lightweight, but also an ideal treatment for those who are concerned about the possibility of a foreign body reaction. Many of the older stimulatory fillers either deposit collagen into the skin or rely on the production of a post-inflammatory form of scar tissue to ‘volumise’ it. The type I collagen stimulated by Profhilo is the most natural and healthy form found in youthful skin, and this is just one of many reasons as to why the Profhilo treatment has gained credence among medical professionals. 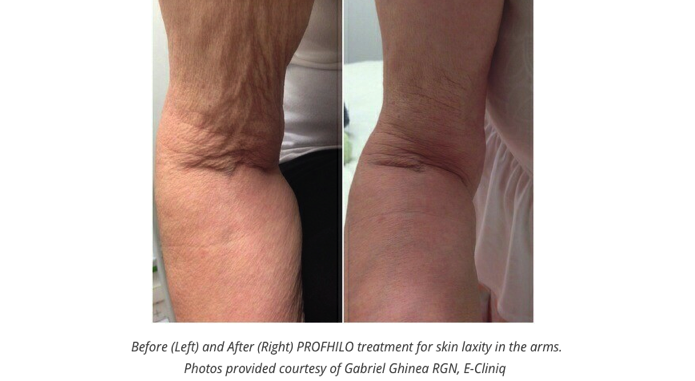 Once injected, Profhilo does several things simultaneously: it provides dermal hydration, repairs a specific cellular component of the skin known as HaCat and stimulates the production of new bonds of collagen and elastin, giving a lift to the soft tissue and restoring a youthful contour to the area treated. 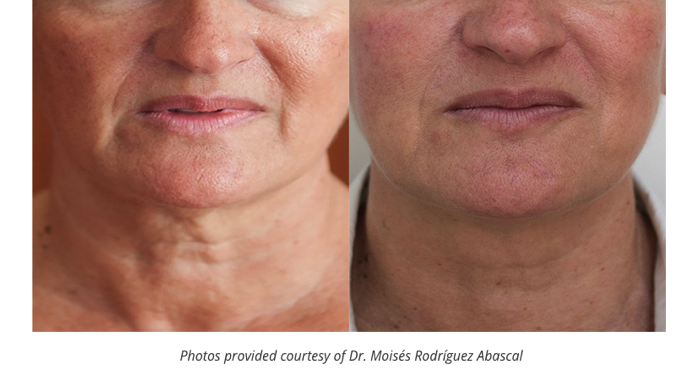 Due to Profhilo’s ability to spread intradermally, just 2mls is the standard amount used per treatment, which involves making approximately five tiny Profhilo injection points on either side of the face (a protocol known as the BAP technique). Can I undergo a Profhilo treatment on the body? Upon request, our bea Skin Clinic practitioners can mobilise the anti-ageing effects of Profhilo in other areas of the body, including the hands and décolleté. Pricing for these areas can be determined at your initial consultation. How many Profhilo treatments do I need? For both the face and neck, up to three treatments are recommended, whereas for the face alone, we recommend two treatments one month apart. In rare cases, we may recommend up to four treatments for significant age-related concerns. Home care products from bea Skin Care’s 5 Step Daily Regime range are included in each package price. 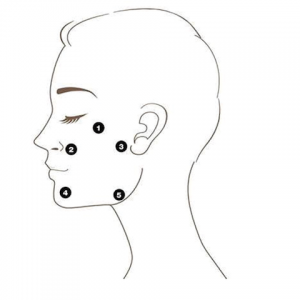 For the face and neck, treatments are £1200 for three, plus home care products Step 3, 4 and 5.